They fear that anchor centers — an acronym for arrival, decision, return – which the Interior Ministry plans to spread across the country will stoke social tension between local residents and migrants amid a populist backlash against the government’s handling of the refugee crisis, The Guardian wrote. One such center which already exists in Bavaria and is meant as a prototype for the plan, suffers from high crime rates, mass protests and rising tensions between asylum seekers and security forces. A converted army compound in Manching, Upper Bavaria, currently holds about 1,100 people, mainly from the western Balkans, Ukraine, Nigeria and Afghanistan. Lucky Raphael, a 24-year-old asylum seeker from Nigeria, said that the inmates are not allowed to lock their rooms, cook their own food or go outside to look for a job or attend school. “It is like a prison. We can go outside, but always in the fear that we could be arrested” he told the newspaper. Anchor centers send a clear signal to migrants who have little chance of being allowed to stay in in the country amid a heated political debate about Germany’s failure to deport asylum seekers whose applications have been rejected. “We are not told why we are here. It would be better if they told us straight away when we arrived that we cannot stay,” Kelvi Batin, also from Nigeria, complained. 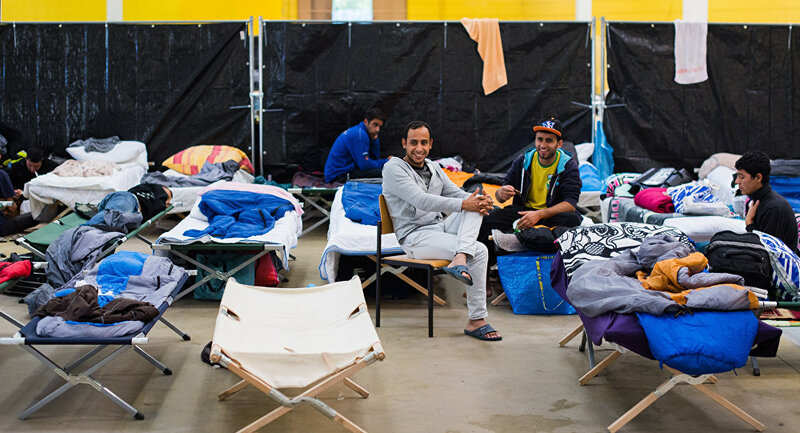 Until very recently, Germany’s policy has been to accommodate arriving migrants in communities across the country, but the government is now backing off from that policy in the face of mounting criticism about its inability to handle the refugee crisis. Germany has become a major destination for thousands of migrants and refugees from the Middle East amid instability caused by the civil war in Syria and the activity of the Daesh terrorist group in the region. According to the Federal Office for Migration and Refugees (BAMF), between 2014 and 2016 Germany received over one million asylum applications, more than any other country in the European Union forcing the authorities to tightened migration controls.